You'll discover tucked-away gems like Cathedral of The Holy Cross Lusaka and Kapishya Hot Springs. Get a sense of the local culture at 37D Gallery and Zambia National Museum. 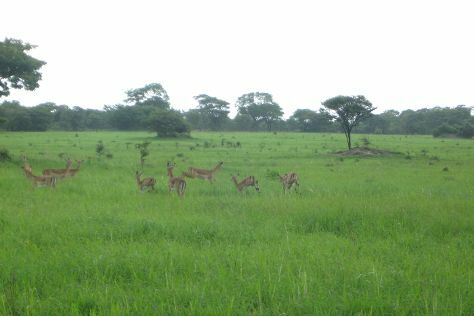 Spend the 25th (Wed) in the pleasant surroundings of Chaminuka Game Reserve. 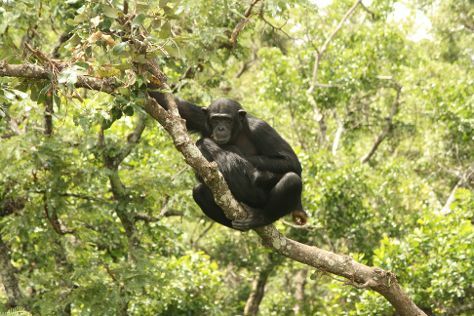 Spend the 27th (Fri) exploring nature at Lower Zambezi National Park. Next up on the itinerary: browse the different shops at Eastpark Mall, stop by Jackal & Hide, tour the pleasant surroundings at Parays Game Farm Wildlife Sanctuary, and get outside with The Lilayi Elephant Nursery. To find maps, traveler tips, ratings, and more tourist information, go to the Lusaka planning tool . Amsterdam, The Netherlands to Lusaka is an approximately 14-hour flight. Traveling from Amsterdam to Lusaka, you'll lose 1 hour due to the time zone difference. Finish up your sightseeing early on the 1st (Tue) so you can travel to Senanga. Kick off your visit on the 2nd (Wed): explore the activities along Zambezi River. To find more things to do, other places to visit, maps, and more tourist information, you can read our Senanga trip itinerary planning website . You can do a combination of bus and taxi from Lusaka to Senanga in 9.5 hours. Alternatively, you can drive. In October, daily temperatures in Senanga can reach 33°C, while at night they dip to 26°C. On the 2nd (Wed), wrap the sightseeing up by early afternoon so you can drive to Chingola. Chingola is a city in Zambia's Copperbelt Province, the country's copper-mining region, with a population of 157,340 (2008 census). On the 3rd (Thu), stroll through Chimfunshi Wildlife Orphanage. To find traveler tips, reviews, maps, and more tourist information, use the Chingola online trip itinerary planner . Getting from Senanga to Chingola by car takes about 14 hours. Other options: do a combination of taxi and bus; or do a combination of taxi, bus, and train. On the 3rd (Thu), wrap the sightseeing up by early afternoon so you can travel to Mulanje. Mulanje is a town in the Southern Region, Malawi close to the border of Mozambique. 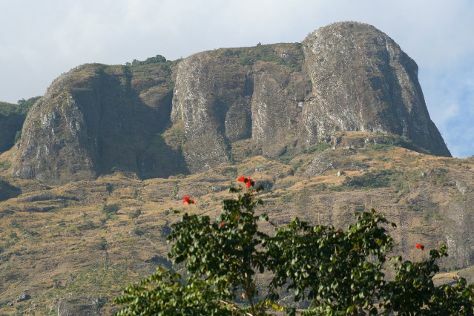 Kick off your visit on the 4th (Fri): take your sightseeing to a higher altitude at Mount Mulanje. You can plan Mulanje trip in no time by asking Inspirock to help create your itinerary. The Route module can help you plan travel from Chingola to Mulanje. In October in Mulanje, expect temperatures between 36°C during the day and 24°C at night. Cap off your sightseeing on the 4th (Fri) early enough to go by car to Mtakataka. Kick off your visit on the 5th (Sat): admire the masterpieces at Kungoni Centre of Culture & Art. To find traveler tips, more things to do, photos, and more tourist information, read our Mtakataka trip maker app . Getting from Mulanje to Mtakataka by car takes about 4 hours. Other options: do a combination of car and flight; or do a combination of car and bus. Plan for slightly colder temperatures traveling from Mulanje in October, with highs in Mtakataka at 24°C and lows at 19°C. Wrap up your sightseeing by early afternoon on the 5th (Sat) to allow enough time to travel to Likoma Island. Kick off your visit on the 6th (Sun): admire the natural beauty at Ulisa Gardens and then take in the architecture and atmosphere at St. Peter's Cathedral. Start your trip to Likoma Island by creating a personalized itinerary on Inspirock. You can do a combination of car and flight from Mtakataka to Likoma Island in 3 hours. Alternatively, you can drive. Wrap up your sightseeing by early afternoon on the 6th (Sun) to allow enough time to travel to Lilongwe. Discover out-of-the-way places like Safaris and Old Town Mall. There's lots more to do: tour the pleasant surroundings at Lilongwe Wildlife Centre, get a sense of history and politics at Parliament Building, take in the architecture and atmosphere at Maula Cathedral, and stop by Gems and Jewellery Lanka. For reviews, other places to visit, traveler tips, and other tourist information, read our Lilongwe trip planner . You can do a combination of flight and car from Likoma Island to Lilongwe in 1.5 hours. Alternatively, you can drive; or do a combination of ferry and car. Finish your sightseeing early on the 9th (Wed) to allow enough time to travel to Livingstone. Your cultural itinerary includes sights like Livingstone Museum and The National Art Gallery, Livingstone. Explore hidden gems such as Gorge Swing and Wayiwayi Art Studio and Gallery. On the 10th (Thu), spend a relaxing day on the river with a rafting and tubing tour. There's lots more to do: see the world from above with a helicopter tour, see the interesting displays at Railway & Gateway Jewish Museum, stroll through Livingstone Reptile Park, and see exotic creatures in open habitats at a safari tour. Find out how to plan Livingstone trip without stress by asking Inspirock to help create an itinerary. Fly from Lilongwe to Livingstone in 5.5 hours. Alternatively, you can drive; or do a combination of bus, train, and car. 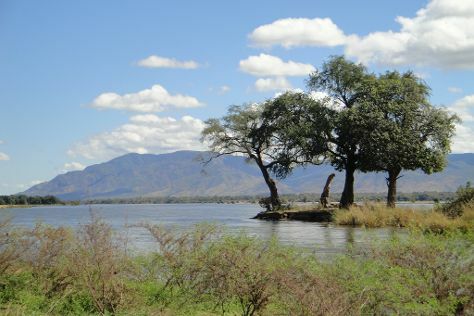 In October in Livingstone, expect temperatures between 36°C during the day and 26°C at night. Wrap up your sightseeing on the 14th (Mon) to allow time to travel back home.